Join in this powerful study of God’s life changing Word, which includes prayer, fellowship, discussion and homework. Study God’s Word with other women. Edify and encourage one another. 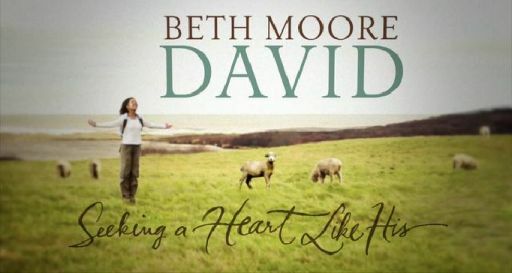 David: Seeking a Heart Like His by Beth Moore is a compelling women's Bible study of David. In this examination of the "man after God's own heart," David will delight and disappoint you. If you've ever experienced doubt, temptation, loss, family problems, or personal inconsistencies, this study is for you! Day/Time: Wednesday mornings—9:00 a.m.—11:30 a.m. Complete and submit the form below to register for this class. Payment for the workbook can be brought to the first class. Discipleship classes are the backbone of Christian Education. Our greatest joy is to see every believer passionately hungry for the Word of God.